This week we interrupt your regularly scheduled devblog with a longer piece from Daniel. I’ve mentioned a few times in the recent past blog posts that I’ve been working on a couple of secret features. Today the least gameplay-related (but still very important) of them is here. Our New Website has finally launched!!! As you might notice it looks quite a bit different from the old one and the difference is more than skin deep. The old site was a poorly customized version of the original website for the game. Which in turn was a poorly customized website from before the first Kickstarter campaign in 2013. Poorly because it was done by us without any specific background in webdev which lead to an ever aging backend that made it increasingly difficult to add new features and content to the page. Not to mention that the layout and style felt all of the 5 years old it was, which on the Internet is a lifetime. Back in December, when we wanted to add a mailing list signup we didn’t just run into a roadblock of having a hard time getting things to work or ending up using the least ideal option available. We couldn’t get it to work at all. This made us consider, and eventually decide to, taking the step and revamping the entire webpage. This of course is a lot of work, so it took us a bit to get it all up and running with all the backend upgrades we were doing. The result is a much better experience that both looks and feels great and up-to-date. In order to make sure that this is actually true, I’ve put together a little poll to help us get your feedback. Feel free to fill in as many poll options as you’d like. 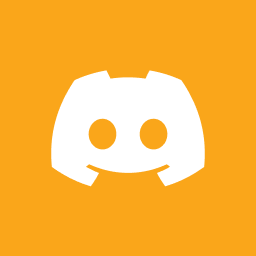 If you want to get in touch with us more directly, check out our Discord!